Here’s what the Wall Street Journal says about Hollande’s fiscal proposal – including the key revelation that spending will go up rather than down. 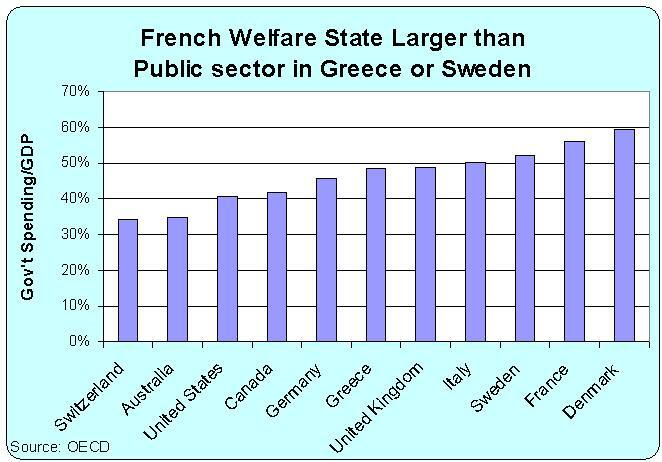 French´s socialist´s wisdom: A few years ago, by the stroke of a pen PM Mitterrand nationalized the French’s Banking System. Suddenly the economy entered into a dawn hill spiral. Mitterrand was force to reversed his draconian policy and soon the economy began to recover. A lesson to be learned!! Not that I approve of French tax rates, but this is not double taxation. The principal isn’t taxed, just the gain.